I may have despaired this week that I have no Sunday Stash to show you, cries that went largely unheeded by my family for I think they may have heard those words before. And too often. This time of the year seems slower in terms of fabric releases - which is not a bad thing - and so I thought I would show you some pieces of fabric that I have picked from local stores and online in the last few weeks. 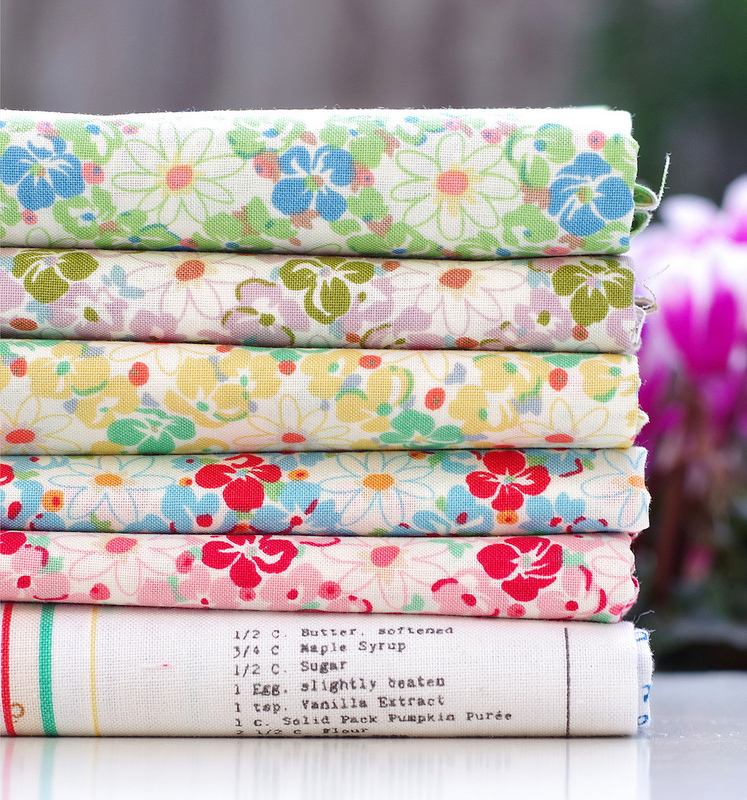 This pretty fabric bundle is a vintage and feedsack inspired selection of fabrics. 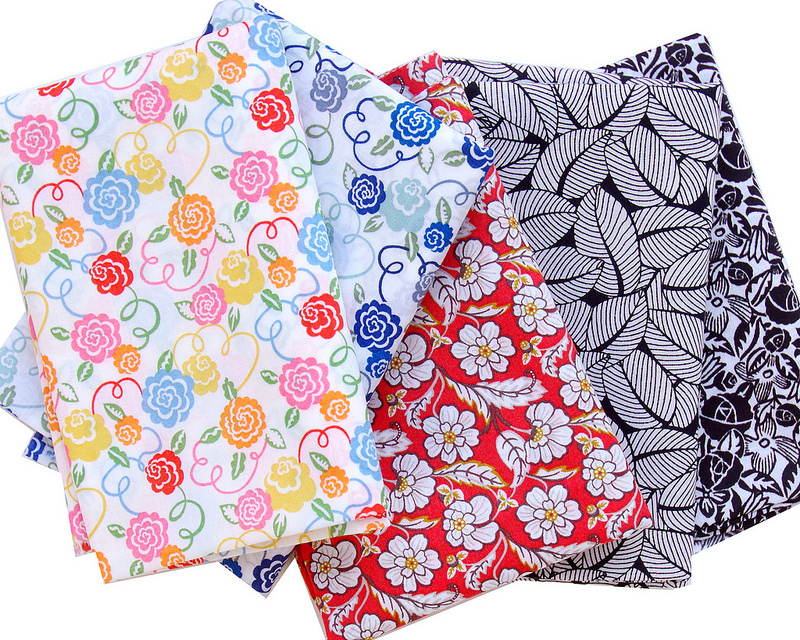 The first being a very pretty floral print from the rose collection by Quiltgate, printed on a fine quilting cotton and available in five different color ways (pictured directly above). I love this daisy design and purchased a small piece of each available color way. 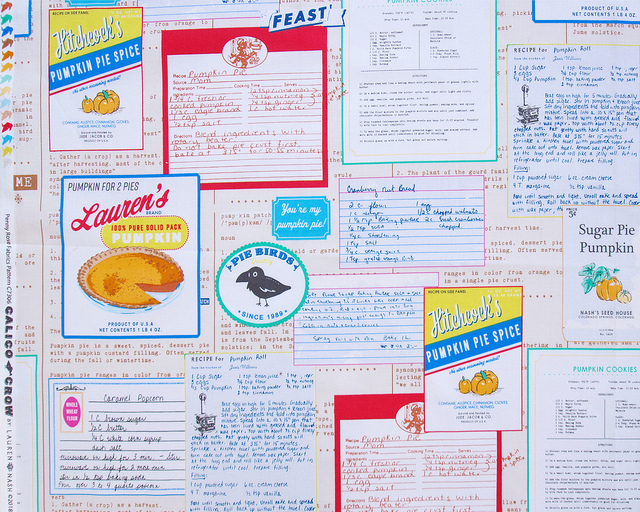 Also part of the first bundle is this fun text fabric featuring a range of recipes. 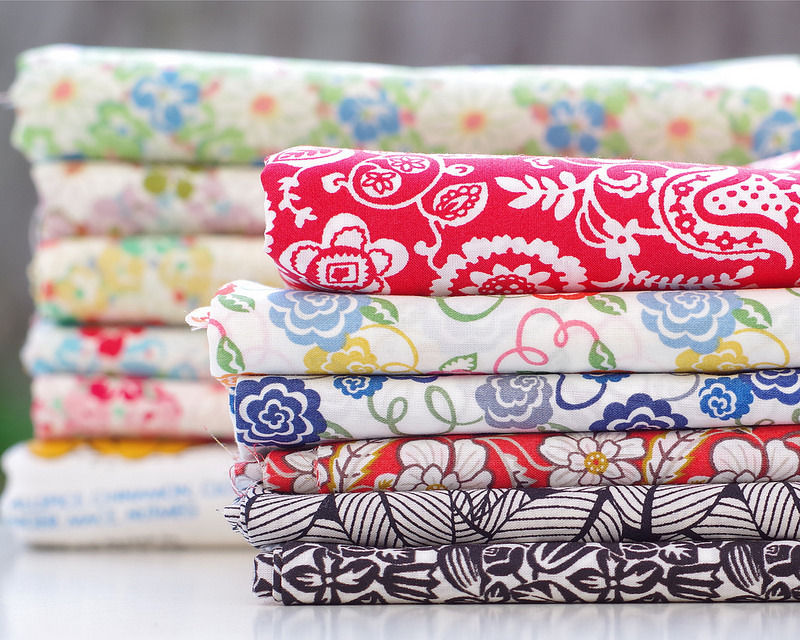 This print is from the Calico Crow collection by Lauren Nash for Penny Rose Fabrics. 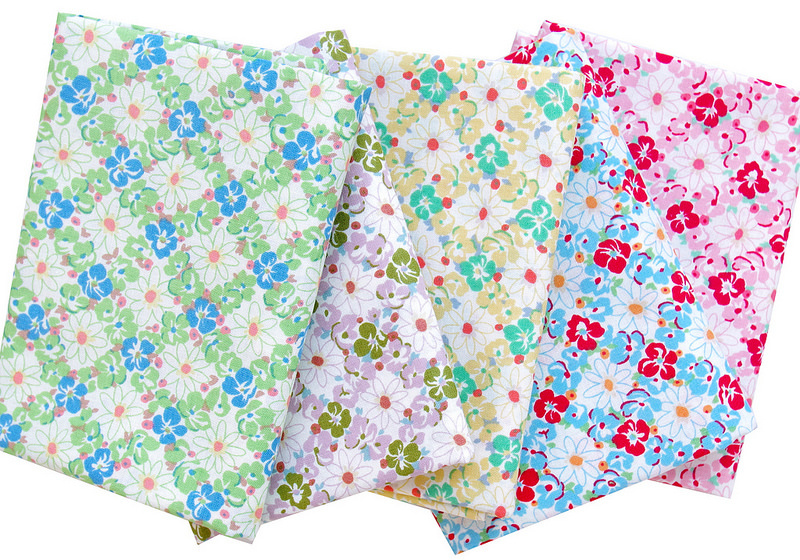 And with the release of the Palace Garden Tana Lawn Collection several new designs have been added to my Liberty of London fabric stash (as well as a re-stock of a favorite classic design). While I really like all the fabrics, I absolutely love the recipe print. Just beautiful! This is a pretty stack. I do like these sweet girly colors too. Gosh, not only for quilts, but ..... little girl dresses! and I dare say, I would make myself a pair of shorts with the pink "quiltgate" lattice.